The centrifugal casting process is known for its high quality and material soundness. It provides a cost-effective solution for complex shapes due to lower machining requirements and manufacturing costs when compared to forgings or fabrications. While there are two types of centrifugal casting processes, vertical and horizontal, the basic concept remains the same. Molten metal is poured into a preheated, spinning die; the centrifugal force from spinning equally distributes the molten metal at pressures of almost 100 times the force of gravity. As the molten metal is poured, the denser metal is driven to the sidewall of the spinning die while the impurities and other less-dense material “floats” to the center. Once the casting is cooled, the inner impurities are then machined away for a quality, defect-free structure that does not contain any cavities or gas pockets. A crucial component in the centrifugal casting process is the benefit of directional solidification. Even though the die is preheated substantially before the molten metal is poured in, its cooler temperatures initiate solidification starting at the outer diameter (O.D.) and finish at the inner diameter (I.D). Unlike conventional gravity or static castings that cool from both the inside and outside surfaces, which can trap mid-wall shrinkage, the centrifugal process solidifies from the outside surface inward. This solidification method ensures a casting that is regularly free of shrinkage cavities, gas pockets, and blowholes. Vertical centrifugal castings can be any component that generally requires a height (length) of less than twice its width (O.D.). A primary advantage of vertical casting is the ability to shape the O.D. of a part. 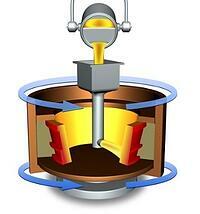 To shape the O.D., a graphite, sand, or ceramic mold is inserted in the die before the molten metal is poured. Unlike a centrifugal casting’s internal structure, the cost of near-net shaping is significantly shrunken thanks to the reduced machining time. Horizontal centrifugal castings are more useful for tubular components whose length is considerably larger than its diameter. Because a horizontal casting does not have the same ratio limitations like verticals do when it comes to length and diameter size, costs are reduced even further when multiple shorter parts can be cast in a single long tube and subsequently cut to the desired length. The technique of investment casting produces precision-engineered components that result in minimal waste of material, energy, and subsequent machining. Besides perhaps die casting, no other casting method can obtain the accuracy of exceptionally-intricate parts. Investments castings are created by first making a wax pattern of the finished part with slight allowance for thermal contraction. The pattern is then attached to a “tree” which forms the gate and runner metal delivery system into the eventual mold. After the entire wax pattern assembly is made, it goes through cycles of being dipped in a ceramic slurry and covered with sand stucco until the shell obtains the desired thickness. Once the shell has completely dried, it is placed in a steam autoclave where the internal wax melts away and the empty ceramic shell becomes the mold. After the mold is preheated, the molten metal is poured in and the metal casting is created. The final process is to knock off the ceramic mold once the metal has cooled before finishing the part with processes like grinding, machining, and cutting the gates and runners. The significant benefits with investment casting stem from the ability to consistently produce close tolerances and intricate contours that would be difficult and time consuming, or sometimes impossible, with other methods such as machining. Creating the net shape, or near-net shape, dramatically reduces the costs and time associated with post-cast processing. 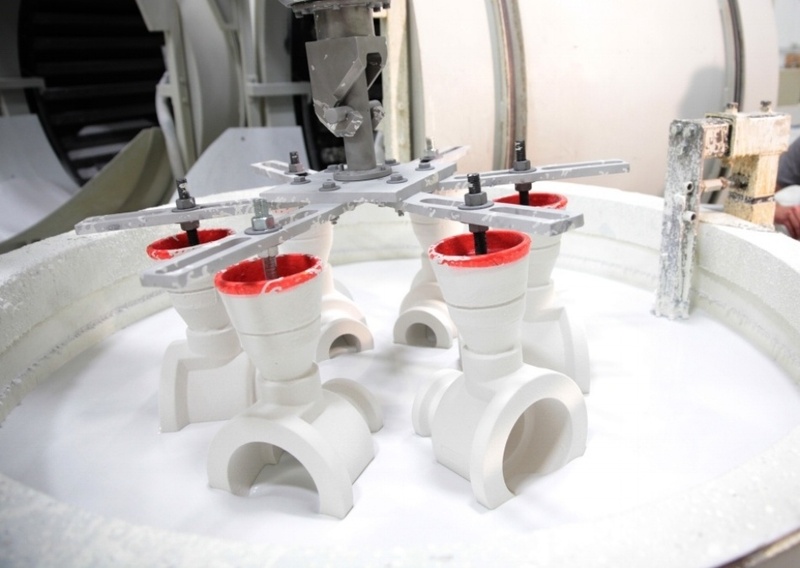 Investment casting is a sound alternative for many weldments or fabrications; multiple components can be combined into a single casting resulting in better manufacturing efficiency and accuracy. When it comes to the size limitations of investment casting, typically this process is used to create small, complex parts ranging from a few ounces to 20 pounds. Although the investment process has been used to produce castings that weigh more than 1,000 pounds, that capability is limited to a small number of investment casters with the required handling experience and machinery. 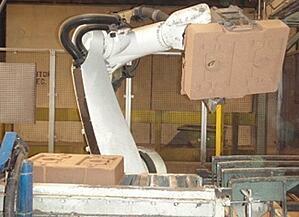 Sand casting is the oldest known casting process. It is also the most versatile and widely used metal casting method. Sand casting has the ability to produce highly-varied components with regards to shape, size, and complexity. Just like investment casting, sand casting requires a pattern of the desired part in order to make the mold. However, unlike the investment casting process, sand castings utilize a reusable pattern that can be made from wood, metal, synthetics, or other materials. The mold is typically created in two pieces; it is formed after packing a mixture of sand and bonding agents around the pattern until it is stable and strong enough to withstand the molten metal during casting. After the sand is set, the pattern is removed and the two halves are put back together to form the mold. 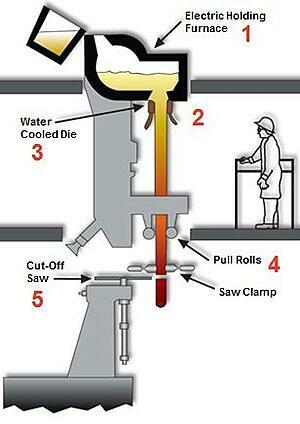 The molten metal is then poured directly into the mold to fill the cavity of the desired part. Once the metal is cooled and solidified, the sand is broken away from the metal where it can be reclaimed, reconditioned, and then reused for future molds. Similar to the investment process, the only required steps after casting is to remove the gates, runners, and risers, as well as any post-processing machining to reach the final dimensions. The advantages from sand casting come from numerous important factors including the versatility of shapes and sizes, reduced tooling costs and time, and the overall timing of the process itself. The necessary quantity of parts also benefit the sand-casting technique. It can be utilized for a one-off or single-run part, but it is also used for high-volume applications such as various automotive components. While sand casting is the most flexible of the casting processes, it does have some drawbacks that should be noted. Generally, the first limitation comes from the relative precision of the castings when compared to other common casting methods. However, that can be negated for components that allow for more liberal tolerances. The other concern pertains to the surface finish after the parts are cast. Sand castings tend to produce rougher finishes than the other processes, but that is nullified if the piece is subsequently machined anyways or the as-cast surface is acceptable for its application. 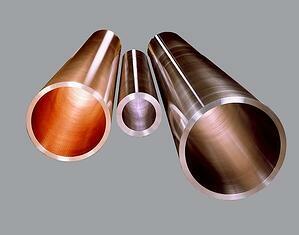 Continuous-cast parts are produced by pouring molten metal into a vertical or horizontal die. This water-cooled die is able to rapidly cool the metal for quick solidification. It also ensures fine, uniform grain structure with higher physical properties than typical sand castings. Because continuous casting operates as a gravity-fed, bottom-flow process, it has the ability to minimize the possibility of trapped dirt and dross in the final product. Undesired material in the furnace floats to the top of the melt and consequently does not become part of the actual casting. Generally, continuous casting is used to create tube or solid-shaped components, but it can also produce other shapes such as squares, rectangles, and hexagons. This process differentiates itself from other casting methods because it does not require a die that is the same length as the desired end component. Although continuous castings can be made for almost any length, the standard length for material is 144 inches. The advantages of continuous casting results in lower machining costs on the stock, consistently dense and homogeneous structures, straight and concentric end products, and inherently better mechanical properties thanks to the immediate cooling after passing through the die. The only limitations when it comes to continuous casting stems from the cost of unique molds and machine setup. For special shapes or alloys, it is uneconomical to consider this method of production; non-standard components should have orders larger than 2,000 pounds in order to obtain long-term savings.